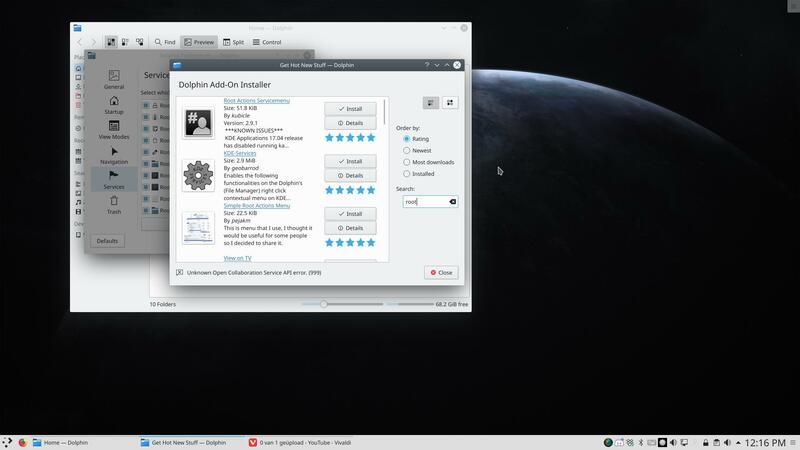 On Xfce and other desktops it is possible to “take actions with root level”. That is possible too on Plasma BUT you need to install a service for that. This package will come from the AUR and its origin is on store.kdg.org. The developer gives you updates on this website. You can follow the changelog there during his development. Check the image above to see all the possible options. You can install it via yay but you can install it also via dolphin. Go to Control – Configure Dolphin – Services – Download new services and search for the extra functionality you want. You can follow our tutorials based on either of two iso's. We record the plasma video's on an SSD installed from the ArcoLinuxB Plasma iso. You can also use the ArcoLinuxD iso and then install Plasma with the help of the github scripts. This will not be an exact copy of the iso. 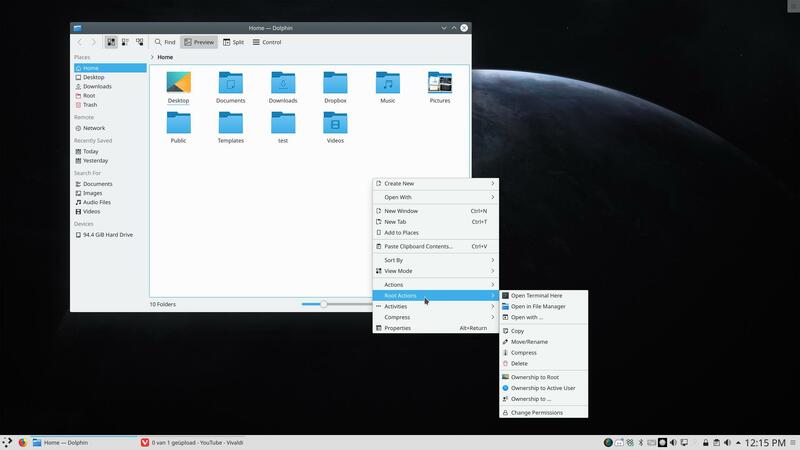 Learn about the Plasma desktop and enjoy it.